The Shoreline Post office is open for business. Post office boxes are in place, and a new blue drop box is outside the new retail space at Gateway Plaza, 185th and Aurora. Some hiccups remain, mostly for employees. The interior of the retail space is unfinished. The bathrooms at the old Office Depot space in Mountlake Terrace don't work. Postal workers use portable toilets in front of the building. 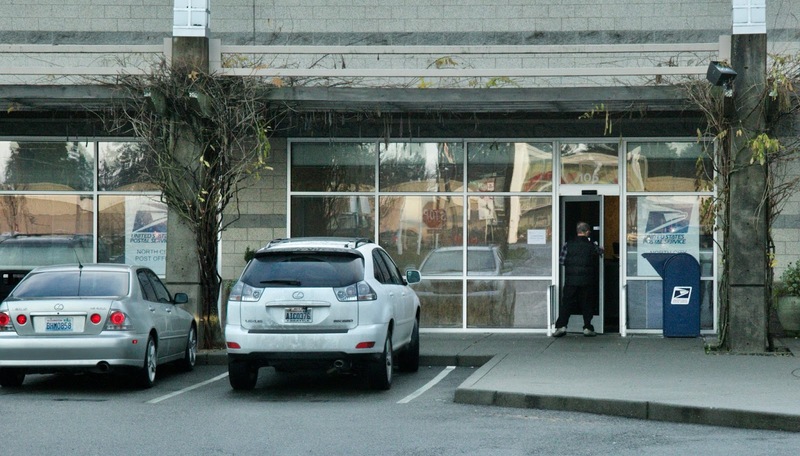 The Ballinger Portal site on Ballinger Way, leased from the City of Shoreline, holds all the vans, but postal workers have to walk back and forth from the processing center in Mountlake Terrace. How far this seems will probably depend on the weather - a pleasant walk in the sunshine, and not so pleasant in pounding rain. Officials at the public meeting were clear that convenient employee parking is a priority, so this is obviously not an ideal situation. 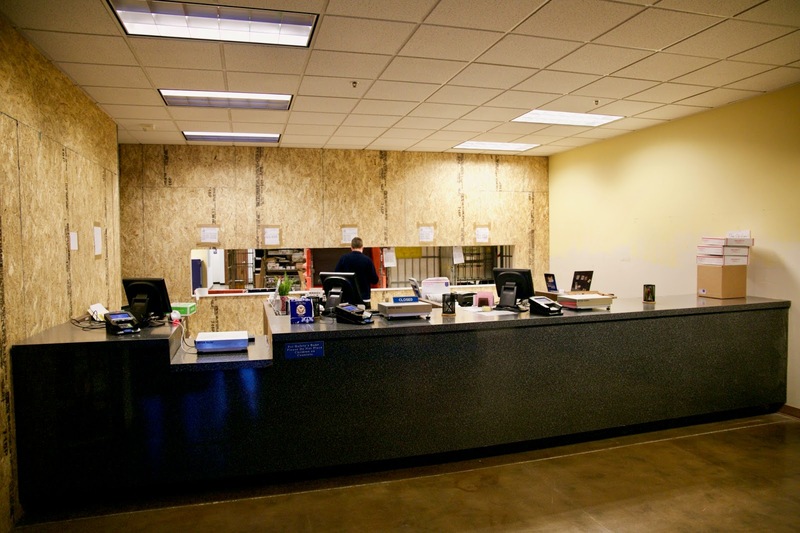 The Postal Service real estate division hopes to find property in central Shoreline that can accommodate all the services - parking for vans, employees, and customers, the processing center, and retail services. They are open to remodeling an existing building or building a new facility. They are willing to purchase property - the old location was on leased land. This process will take at least a year, and probably more. This is still a complete outrage! An outrage for workers, for USPS patrons, for the neighborhood! It is appalling. And the City knew this was going to happen for two years and did nothing to help until the last minute. In effect they enabled the developer over the public interest! It is a complete disaster for an essential public facility to be destroyed by inept neglect! The postal workers from Shoreline have a definite challenge, working from three different locations! I hope it will get easier as things settle down. It would sure be nice if the Sears building would become available to them, if that becomes an option! Thank you to the employees for all the hard work that has gone into this current temporary move!